Maintaining awareness and visibility in the cyber security chaotic environment is difficult. CISO and other InfoSec and IT management stakeholders cannot really know if and how they are being protected, what the security status is in different organizational domains (e.g. security, business, services), what technology domains are protected, and if that protection is even effective. This lack of visibility impacts management and leads to poor security performance, which then results in a vulnerable IT infrastructure. Cyber Observer is a single pane of glass cyber security eco-system visualization framework, that delivers comprehensive and critical awareness continuously in near real-time. Designed for CISOs and senior InfoSec managers (such as CIOs, C-level managers, Risk Officers, SOC managers and IT Infrastructure personnel), Cyber Observer empowers leadership with a unified view of their entire cybersecurity ecosystem. This enables them to easily identify weaknesses, reducing mean-time-to-detect (MTTD), prevention of breaches, and advancing organizational cybersecurity posture and maturity. 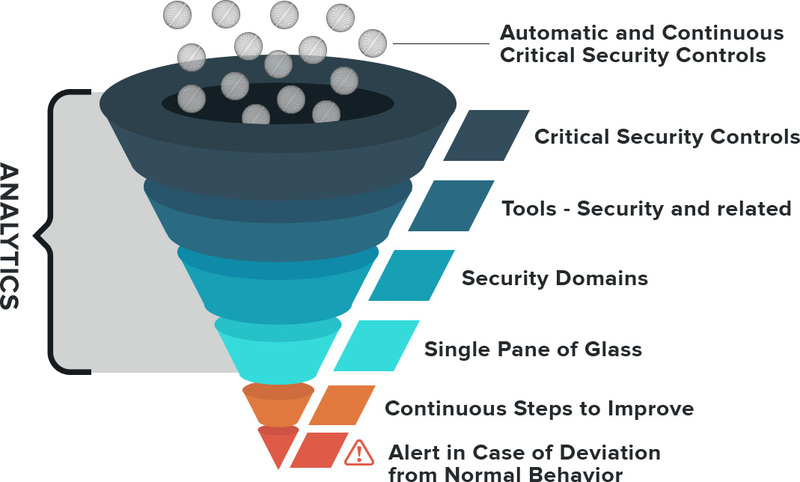 The product continuously measures cyber security maturity and status by retrieving and analyzing predefined Critical Security Controls (CSCs) from the security-relevant tools that are deployed in the enterprise in addition to alerting in the event of any deviation from normal activity. Our solution is software only, installed on virtual machine, on premise.